East River Medical Imaging proudly offers our innovative Referring Physician Portal and App. Click here to learn more. Sorry, we are not available for chat at the moment. 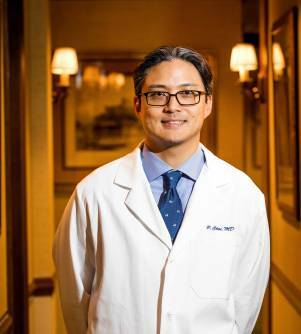 Certified by the American Board of Radiology in 2004, Dr. PaulChoi specializes in the field of Neuroradiology and Head & Neck Radiology. Dr. Choi recieived his CAQ certification in Neuroradiology in 2006. He completed his fellowship at Mount Sinai Medical Center. He serves as Clinical Instructor of Radiology at New York Presbyterian Hospital and Clinical Instructor in Radiology at Weill Cornell Medical College, Cornell University. Dr. Choi completed his residency training at Mount Sinai Medical Center, where he served as Chief Resident during his final year. Dr. Choi has participated in several neuroradiology lectures and presented at the American Society of Neuroradiology. He is a member of the American Society of Neuroradiology as well as the American College of Radiology. Dr. Paul Choi graduated and received his M.D. from SUNY Downstate School of Medicine. He completed his internship at Winthrop University Hospital.